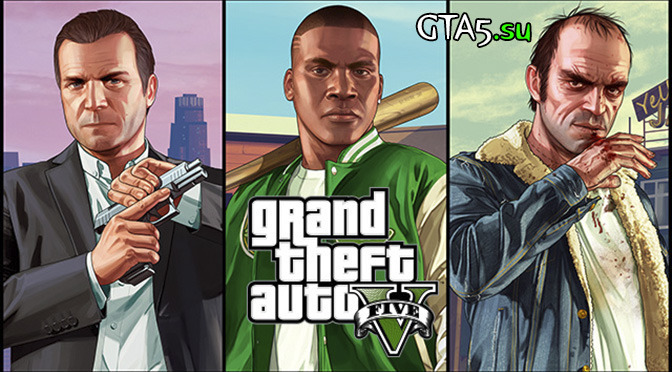 Rockstar Games is proud to announce that Grand Theft Auto V will arrive on the PlayStation 4 and Xbox One on November 18, 2014 with the PC version to follow January 27, 2015. All players who pre-order the game will get $1,000,000 in-game bonus cash to spend across Grand Theft Auto V and Grand Theft Auto Online (GTA$500K each for your Story Mode and for your GTA Online in-game bank accounts). A host of new, exclusive content also awaits for players returning from the PlayStation 3 and Xbox 360 versions including rare versions of classic vehicles to collect from across the Grand Theft Auto series such as the Dukes, the Dodo Seaplane and a faster, more maneuverable Blimp; activities including wildlife photography and new shooting range challenges, new weapons and more. Existing players will be able to transfer their Grand Theft Auto Online characters and progression to their choice of PlayStation 4, Xbox One or PC. For more info about gaining access to exclusive content for returning players, please visit rockstargames.com/V/bonuscontent. Check out the brand new GTAV trailer, entitled “A Picket Fence and a Dog Named Skip” – and enjoy these sixteen new screenshots taken from the PlayStation 4 version of the game.